When you're having a bad day, there's nothing quite like the purr of a cute kitten to make you feel better. Cats can also be playful companions, loving nothing more than to chase a ball filled with catnip, bat around a bit of yarn, or curl up inside a child's cardboard box fort. 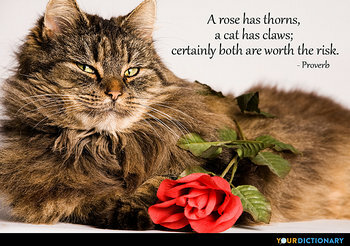 YourDictionary’s selection of cat quotes pays tribute to one of the most popular pets. Share your favorites with a fellow cat lover today!  Title of a Pamphlet. (Published 1652). It's been said that there are two types of people in life: dog people and cat people. Studies suggest that cat people are introverted, sensitive, and open minded. 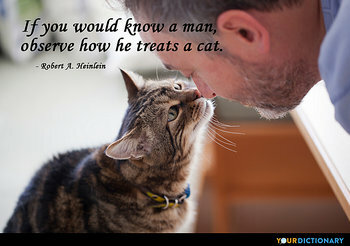 Sigmund Freud, the founder of modern psychoanalysis, fits this description perfectly and was proud to be a cat lover. 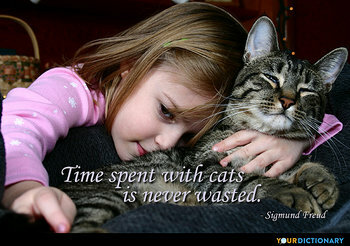 "Time spent with cats is never wasted," he said. If you're a cat person, you've probably noticed that cats approach their interaction with humans differently than dogs. While dogs tend to be unrestrained in their love, cats are often aloof and indifferent to all but a select few. If you want a cat to be affectionate, you have to earn his love. 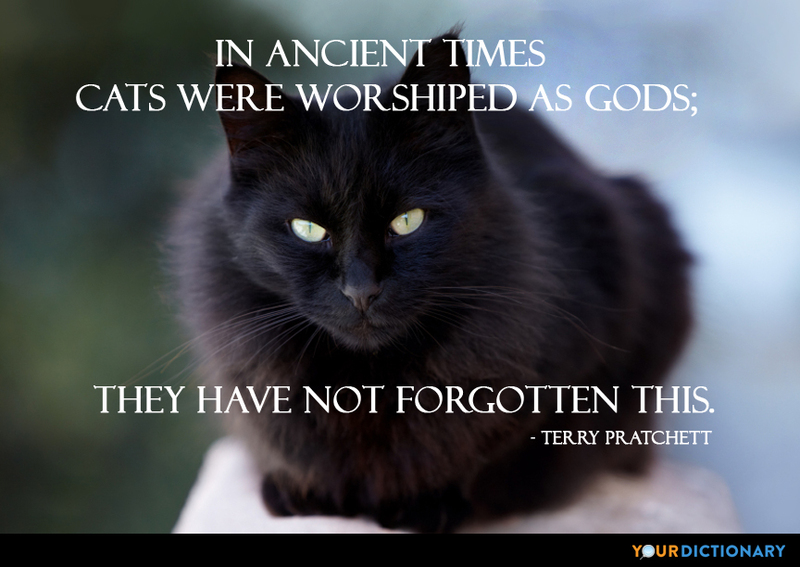 Author Terry Pratchett said, "In ancient times cats were worshipped as gods; they have not forgotten this." Although cats can be temperamental, this never stops a true cat lover from showing their fondness for a feline companion. 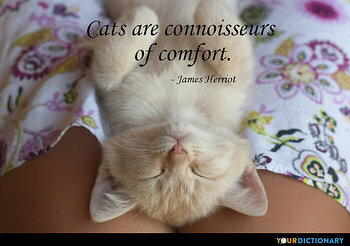 In fact, some of the most popular cat quotations show that a cat's flaws are often viewed as part of his unique charm. Noted Spanish novelist Miguel De Cervantes said, "Those who'll play with cats must expect to be scratched."